My name is Rosa Taylor. I am a 26 year old head chef and live in Burton on Trent. 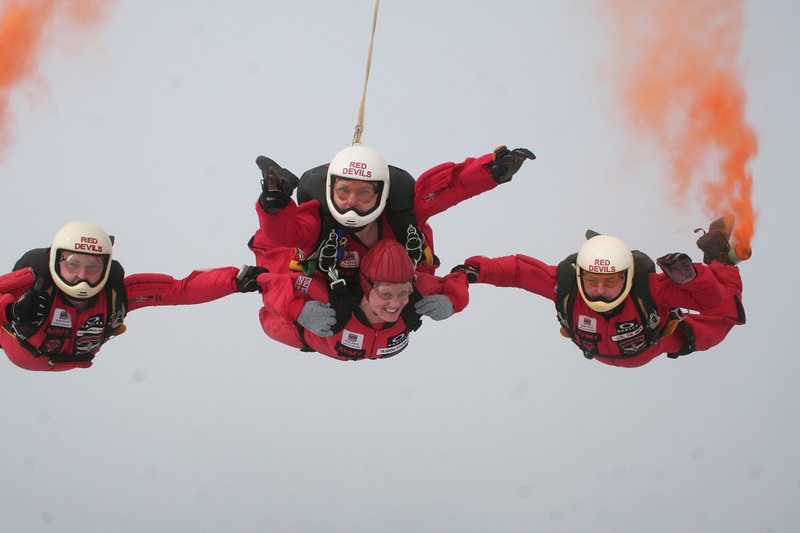 I had always wanted to take part in a skydive at some point in my life. This was my opportunity. 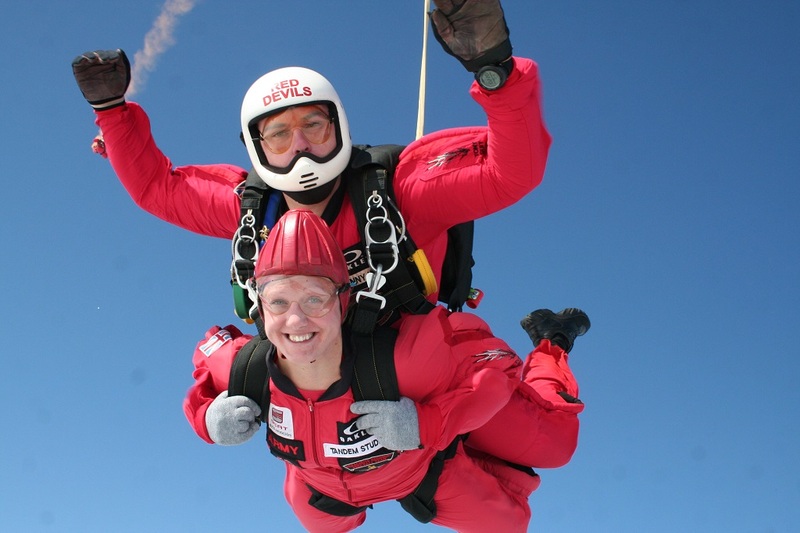 After much consideration, I booked to take part in a charity skydive with the Red Devils on 28th August at Langer Airfield in Nottingham. There was no hesitation which charity I wanted to raise the money for. 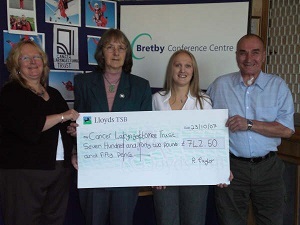 This charity was the Cancer Laryngectomee Trust. It is a charity that is close to my heart after my dad has under gone a total laryngectomy due to throat cancer. I wanted to raise the money for this charity to help other people just like my dad who had experienced what he had gone through. My dad had been diagnosed with cancer in the year 1999 which he went under many sessions of radiotherapy, for 15 days. My dad Peter who was then 48 and a keen gardener went through many checkups and biopsies over the next 4 years. Unfortunately in the 5th year (June 2004) my dad collapsed at work due to lack of oxygen. It had been discovered that the cancer had returned. The doctors decided that a total laryngectomy was the best solution so that all the cancer would be removed. After 11 days in hospital he returned home. After a further 12 weeks recovery he went back to work. He had lots of support from all his family and friends and I think as long as you have this you can get through the toughest time that anybody throws your way. Three years on he is coping really well and enjoys many holidays abroad. The day of the tandem skydive had come round so quickly. I remember waking up and having butterflies in my tummy and was so excited with the adrenaline. I knew at this point there was no turning back and I had to do it for myself, my sponsors and especially for the Cancer Laryngectomee Trust. 10.15am came and it was time to put the jumpsuit on. At 10.30 we got given the all clear to make our way to the plane. We flew up to 13,000ft, above the clouds and the sky was just so clear and so blue, it was unbelievable. 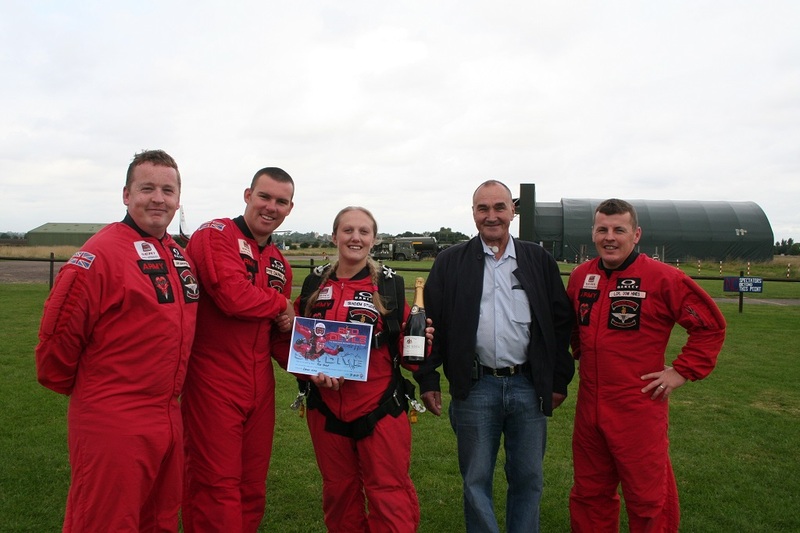 We plunged out of the aeroplane at 120 miles an hour. After 1 minute of free falling I enjoyed the canopy ride, where I flew the parachute myself under the guidance of my instructor. He taught me to spin the parachute. The views from up above was breath taking. As we landed, I was running on the adrenaline rush all day. Knowing I had taken part in something I had always wanted to achieve in life and raising £742.50 for the Cancer Laryngectomee Trust was all worth while. I would like to say a Huge Thank You to the Red Devils parachute regiment freefall team, especially Jay Webster, Danny Wood, Marcus Orme and Dom Hines. Also to Langar Airfield, all my family, friends, Bretby Conference Centre, anybody else who sponsored me and my Huge Thank You goes to the bravest man I know, who I love dearly, my dad.